When the weather begins to warm, we tend to get excited about letting the sun in and doing a deep cleaning as a fresh start. Just like the spring brings a renewed sense of hope and vitality, so can a clean home. 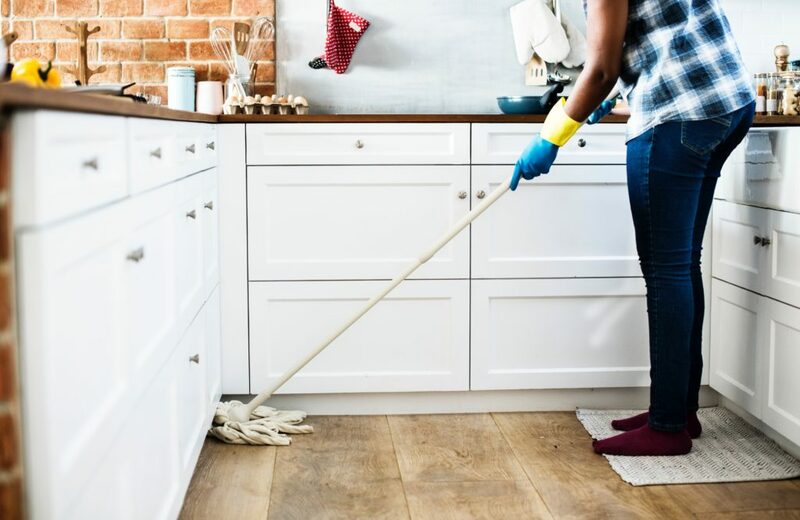 Professional cleaners take a deep clean approach every time they clean, and they offer these tips to help you have even more success this year and years to come. Once you have a complete list, break it down into small chunks. You may want to set a timer and complete as much as you can in the allotted time, or just determine to do a top three list. Don’t try to do the whole list as once – instead determine if you will do a few a day, or only on weekends. Put on some upbeat music, hum or sing, or even dance around to make the spring cleaning more fun. Having other people help (or get out of your way by going somewhere for the day), can also help you be more productive. Think of ways to make it good time, rather than just another chore. Start with the areas of your home that are a priority – this can be the messiest areas, or the most used – whichever is nagging at you the most. Part of the fun of spring cleaning is letting go of what you no longer need. Set up two boxes – one marked “donations” and the other “trash”. As you clean, look for items that can be put into either box. Professional cleaning companies not only follow a checklist, they are very systematic as it helps them to not miss anything. This usually means they work each room from top to bottom. After you have done the big cleaning, such as decluttering, go in and look high for cobwebs and dust, work down to wiping trim and cleaning floors. Finally, celebrate your accomplishments. Too often we are driven to work hard and don’t take the time to pat ourselves on the back for a job well done. Put your feet up and enjoy your favorite beverage, or find another way to treat yourself – after all, all that cleaning can be tiring. 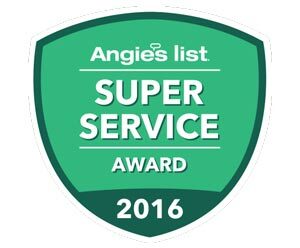 A Cleaning Service is an award winning residential and commercial cleaning company serving the Greater Washington DC, Virginia, and Maryland areas and would love to earn your trust. Read our reviews, then call us for more information or a quote today. Let us help you with your spring cleaning, or regular on-going cleaning to make your life easier and home as clean, bright and welcoming as you desire it to be. Bacteria and germs in your home can create a host of problems. Keeping your home clean is more than just aesthetics, it is also about keeping it healthy for you, your family, and your guests. Here’s a professional house cleaning checklist for your maid to help you know what to clean and how often to help reduce the spread of germs and disease. Used sheets and pillow cases should be washed about every week to two weeks in hot water to kill bacteria. Blankets and comforters, as well as any other bedding that doesn’t have direct skin contact nightly can be washed monthly, or even just thrown into the dryer for a refresh to kill any germs. Wipe high-touch areas with an antibacterial cleaner; including light switches, door frames, knobs, handles, flat surfaces, and more. Dust can hold onto germs, so dust as often as you need it – usually about every ten days. Towels should be replaced and washed every few uses. Use hot water to kill germs and dry the towels completely. Clean your bathroom, including floors, every 1-2 weeks depending on the frequency of use. Use a disinfectant cleaning product in the bathroom to kill germs and bacteria. Be careful to not mix chemicals and use different cleaning cloths for the toilet than you do for the sink and shower/tub. Remember to wipe high-touch areas; including light switches, door knobs, and even door frames, keeping in mind that a disinfectant should be used. Kitchen towels should be washed immediately if they have come in contact with raw meats. Other towels should be replaced with fresh ones every few days to limit exposure to germs. Sponges can be boiled or microwaved for a few minutes to kill bacteria. Wash the sink with a cleaner when you expose it to raw meat, and don’t allow food particles to stay in the sink between uses. Carpets should be vacuumed weekly with a focus on heavy-traffic areas. Dirt can easily be transferred from shoes and paws to just about anywhere in the house, so consider a no-shoe policy and area rugs or runners near entrances. And don’t forget to take into account those high-touch areas throughout your home and wipe them clean. This often includes banister/handrails, electrical switches, and appliances. 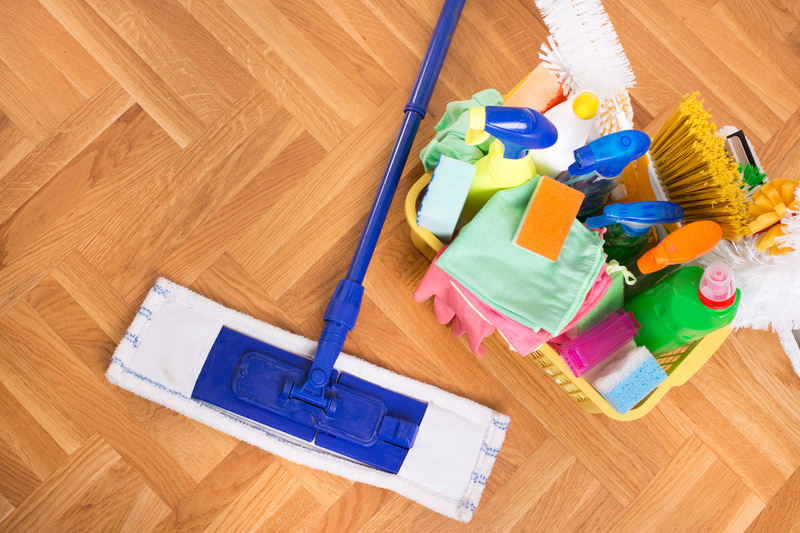 Clean tile and hardwood floors every few weeks, or more often if you see dirt or grime. 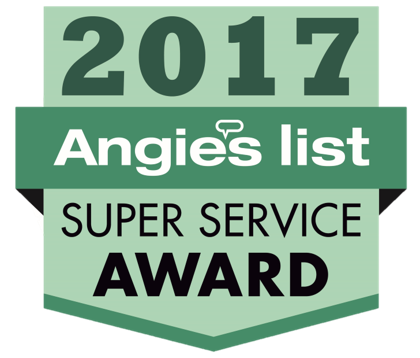 Homeowners have relied on the skill and expertise of A Cleaning Service for over 30 years in the Greater Washington DC, Virginia, and Maryland areas. 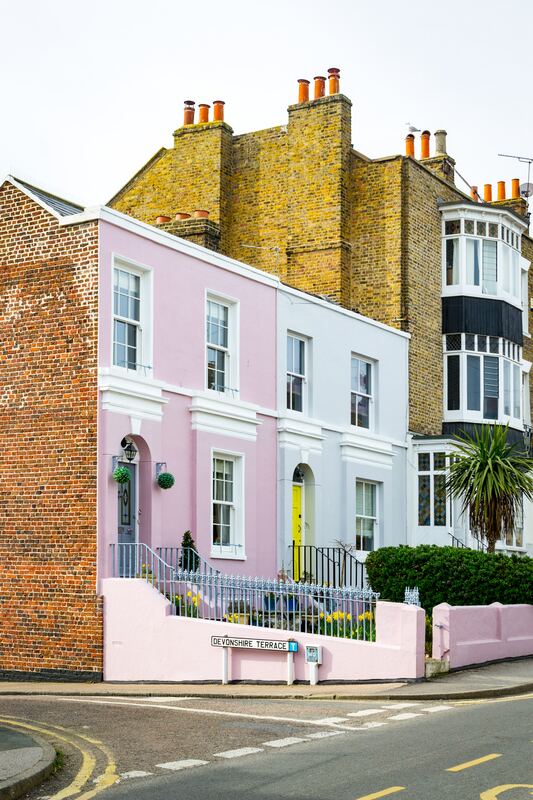 As an award-winning residential cleaning company, we seek to earn your trust and make your life easier with professional, reliable and knowledgeable maid services. 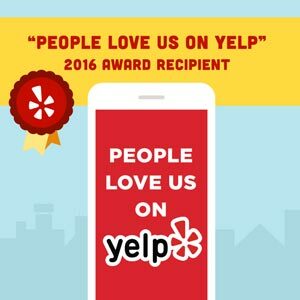 Read our reviews, or call us for more information or a quote today! Spills, accidents, and messes in our homes – they happen more often than we like. So, what should you do if an accidental spill happens in between your next scheduled professional house-cleaning service from A Cleaning Service? Sometimes the answer may be in your cupboards. 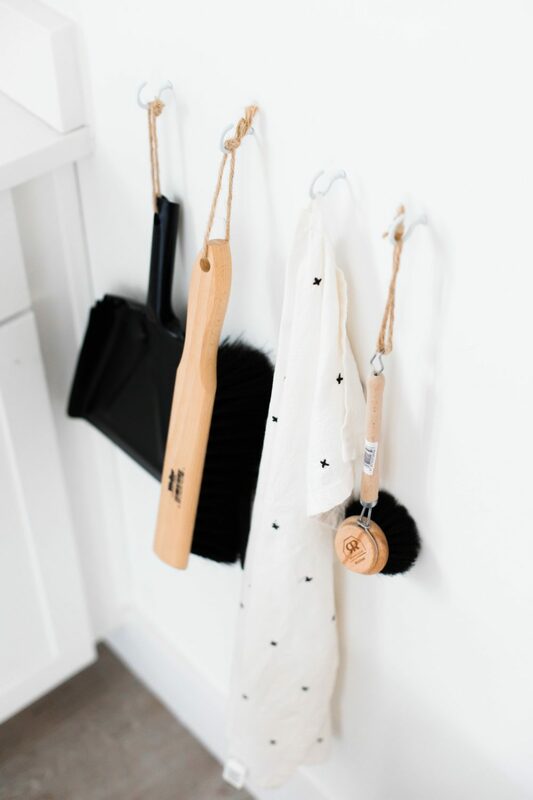 While A Cleaning Service is here to help when you call us for professional cleaning services, it’s also not a bad idea to keep some supplies on hand to help with emergencies. Here are five products that can help you clean up hard messes in a pinch. Clean Magic Eraser, which sells for about $4.99 for a two-pack at Target, can remove scuff marks from walls, floors, and furniture. Bar Keeper’s Friend, which usually sells for $2, is an abrasive cleanser and polish that can clean up burnt up messes to stainless steel, copper, and porcelain, as well as the grime on your bathroom surfaces (toilets, sinks, and tubs). Bronner’s Organic Pure Castile Soap, about $10, can be used to wash dishes, clothing, and even your dog (if you have one). You can use it as body wash or shaving cream (diluted versions) if ever needed but remember to read directions first before use. Windex, usually $5 for a 23-ounce bottle at Walmart, can be used to clean streaks on glass surfaces as well as mirrors and other surfaces, too. Krud Kutter, which retails for $13 a gallon, is an environmentally friendly degreaser that can take on stains on laundry, soap scum, carpets, wood, and even counter tops. Reading the label and diluting the product according to the manufacturer’s directions is recommended. To learn more helpful cleaning tips or about our services, visit A Cleaning Service, your trusted professional cleaning experts in Arlington, at http://www.acommercialcleaningserviceinc.com/ or call 703-892-8648. Clean Your Coffeemaker, and Enjoy a Better Cup of Coffee! A good cup of coffee can be very enjoyable on those chilly, winter mornings. 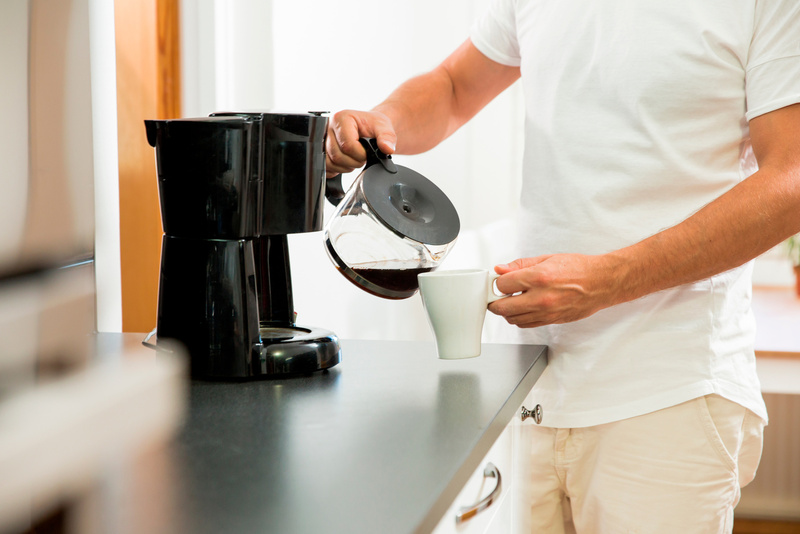 To brew your best cuppa Joe, make sure your automatic-drip coffeemaker is in its best working order. You don’t have to do a detailed cleaning like the one below every time, but it helps to do it, especially if your coffeemaker has mineral build-up or if it hasn’t been done in a while. Empty the carafe and wash it with soapy water; then dump and rinse out any grounds left in the filter area. Use a solution of equal parts half vinegar and half water to clean the brewing system. Pour the vinegar-water solution in the water area, and begin to brew it. When the brewing cycle is halfway done, turn off the coffeemaker. Let it sit for about an hour. Turn the coffeemaker back on and let the brewing cycle finish. Dump out the vinegar and water solution. Run the coffeemaker on the brewing cycle with water only for another two to three times. Wipe down your coffeemaker, and reassemble all the parts. Wash your carafe again with soapy water. Your cleaned coffeemaker should be ready for you to brew a good pot of coffee, using filtered watered and the ground coffee of your choice. Start with whole beans and grind them yourself. If you don’t have a grinder for the beans, you can pick out and buy ground coffee ahead of time. Use the right kind of filter (flat or cone-shaped) and the right kind of ground coffee for your coffeemaker. Depending on the type of filter, have the coffee beans ground in the following way to get the most out of the coffee’s flavor: For flat-bottom filters, very fine; for cone-shaped filters, medium-fine; and for gold or plastic filter, use medium grounds. Use filtered water during the brewing cycle to get the best flavor. Use the correct ratio of water to coffee grounds. A rule of thumb is 1 to 2 tablespoons of ground coffee for every six ounces of water, depending how you like your coffee and how strong your coffeemaker brews the cycle. Toss out any leftover coffee from the pot; be sure to rinse out the carafe with water; and dump out the grounds and rinse the filter area, too. Remember: You don’t have to clean the coffeemaker with the vinegar-solution all the time – just occasionally. It’s usually recommended if the appliance starts to build up mineral deposits or if it hasn’t been done in a while. Also, be sure to check the owner’s manual of your automatic-drip coffeemaker first before following these steps. If the manufacturer’s instructions vary from these steps listed above, use the manufacturer’s instructions instead. To learn about residential cleaning services or how to keep your home always looking its best, contact A Cleaning Service, your trusted professional cleaning experts in Arlington, Virginia, at 703-892-8648.